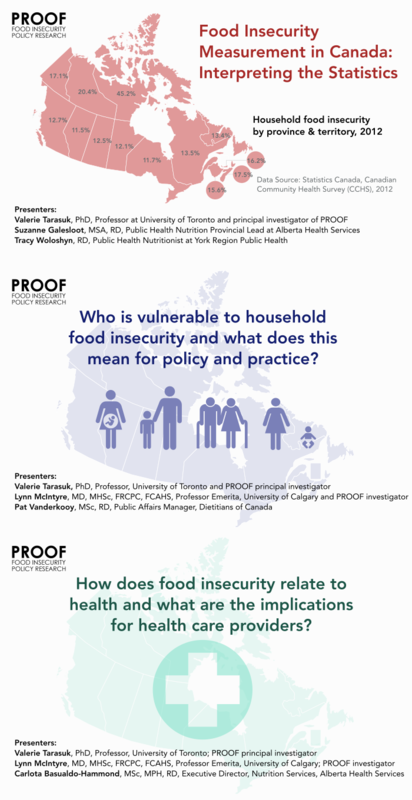 Household food insecurity is a serious public health problem that affects 1 in 8 Canadian households. 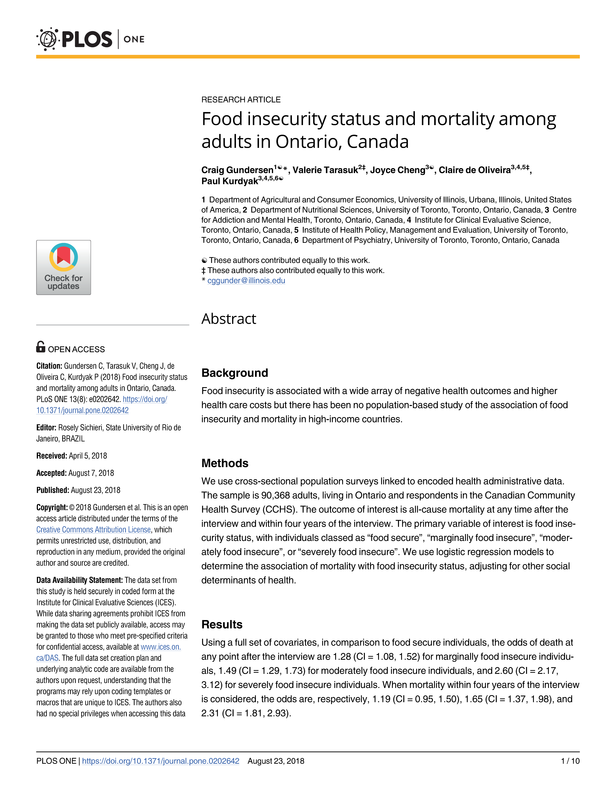 Household food insecurity – the inadequate or insecure access to food due to financial constraints – is a serious public health problem in Canada. It negatively impacts physical, mental, and social health, and costs our healthcare system considerably. 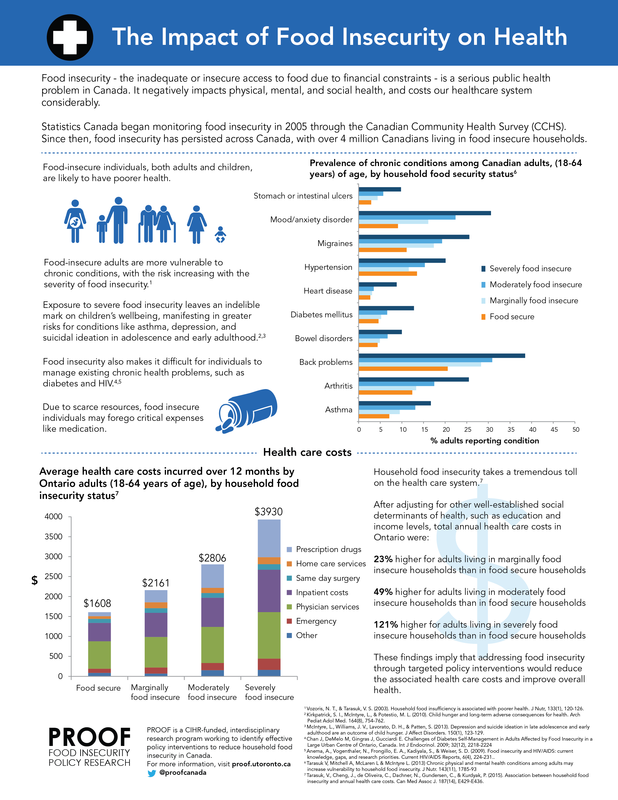 Statistics Canada began monitoring household food insecurity in 2005 through the Canadian Community Health Survey (CCHS). 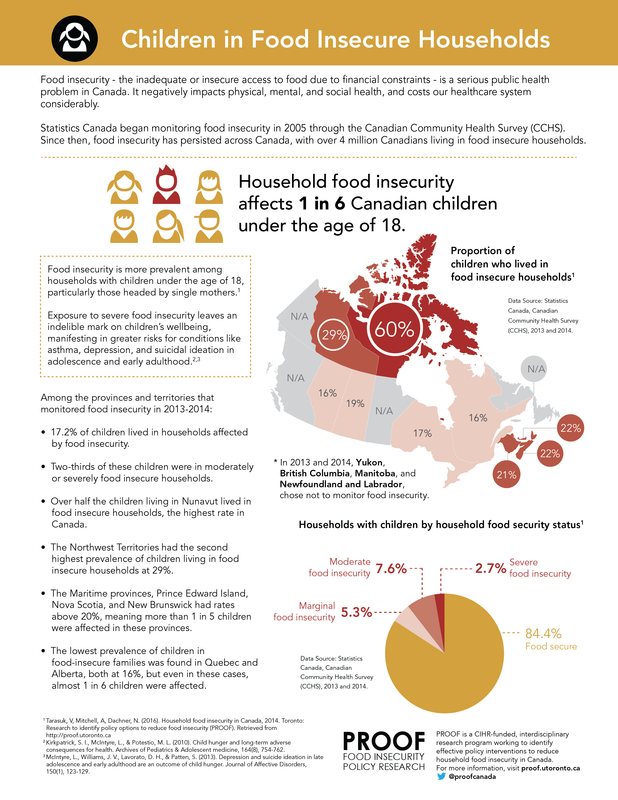 The most recent national measure was taken in 2012, when 1 in 8 households were food insecure, amounting to over 4 million Canadians, including 1.15 million children, living in homes that struggle to put food on the table. 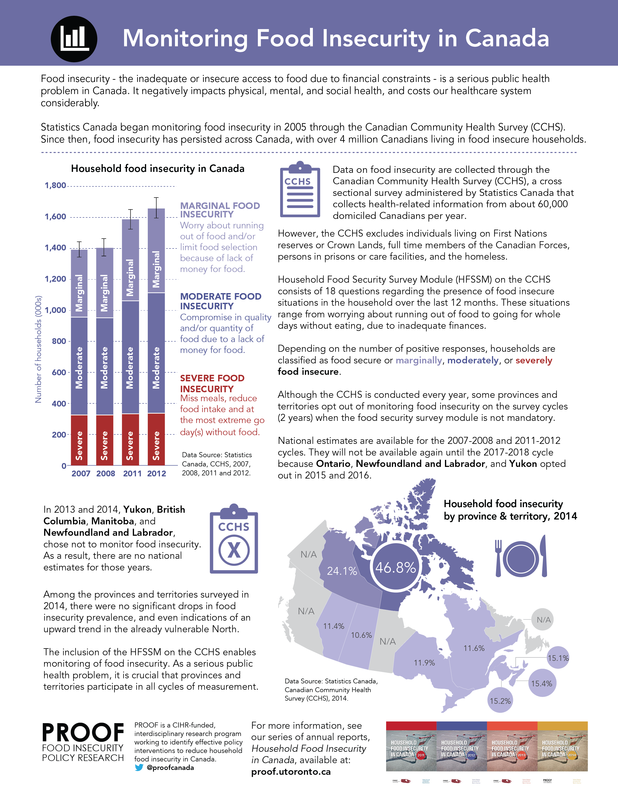 Using the data from the CCHS, we’ve released annual reports which provide a comprehensive look at the state of food insecurity in Canada. 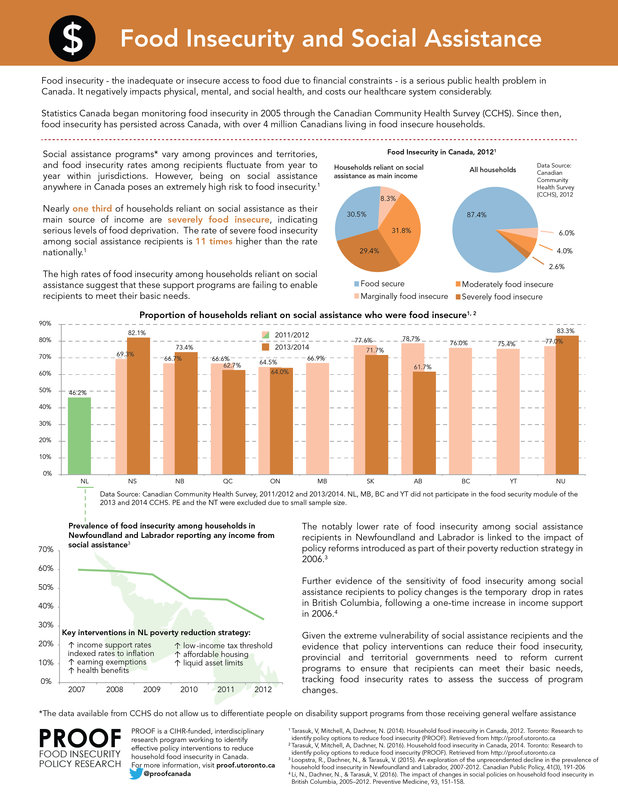 The most recent national measure, in which all provinces and territories were included, was taken in 2012. 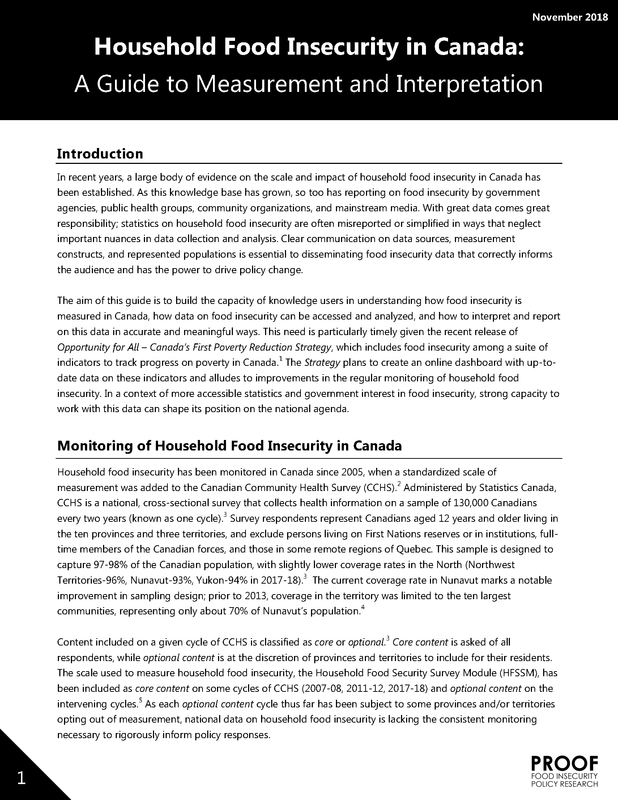 The 2013 and 2014 reports reflect data from the provinces and territories that opted to measure food insecurity in those years. 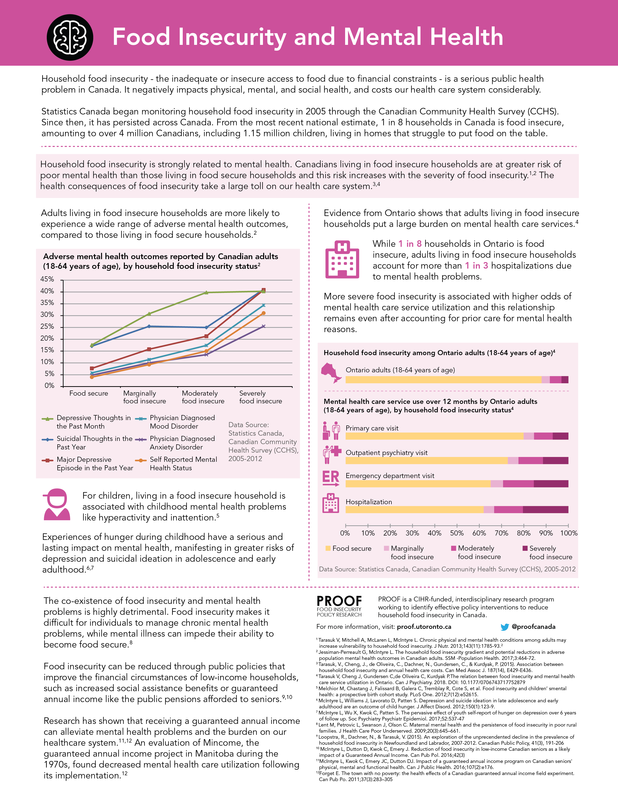 Learn more about Food Insecurity in Canada or our latest annual report (2014). 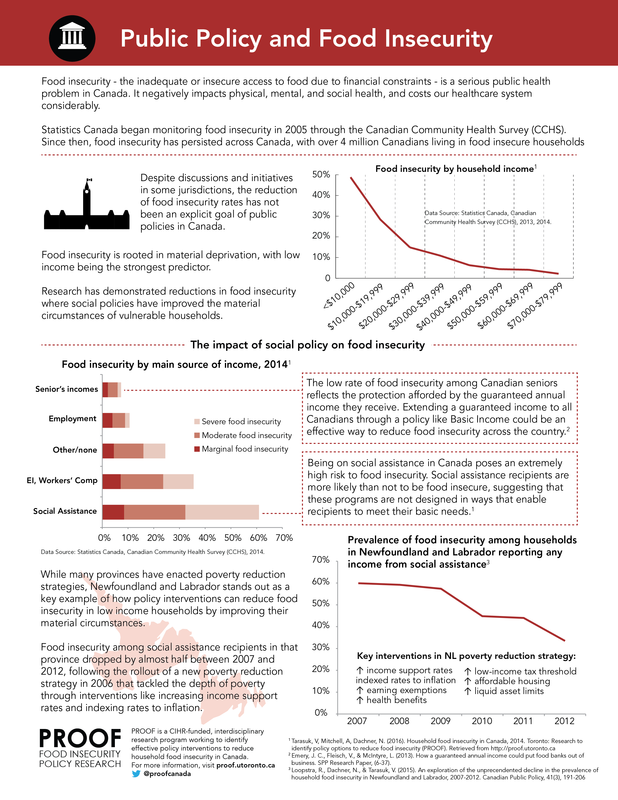 UPDATE MAY 12, 2017: We have recently learned that Ontario, Newfoundland and Labrador, and Yukon opted out of food insecurity measurement in 2015 and 2016. PROOF’s 2015 and 2016 annual reports will not contain a national estimate as previously thought. The next national estimate will not be available until the 2017-2018 cycle of the CCHS. 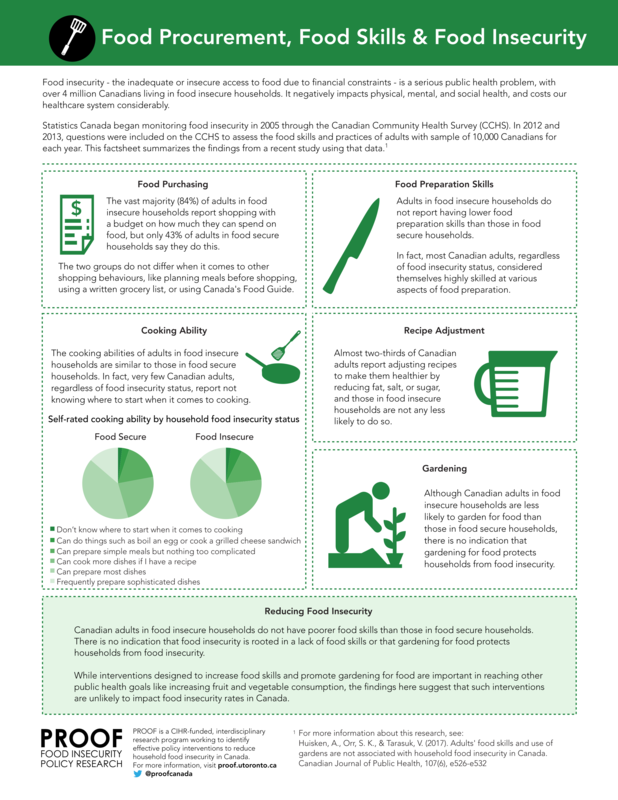 Learn more about this in our post, “Provinces and Territories Opting Out of Measuring Household Food Insecurity”. Click to see full fact sheet.